Dr.-Ing. Thomas Carolus is Professor at the University of Siegen, Germany. Prof. Francis Birhanu Dejene is a Professor of Physics at the University of the Free State, republic of South Africa. 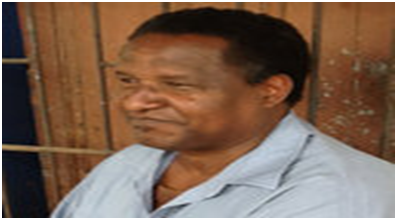 Prof. Abdul K. Faraj is an Associate Professor of Food Science Technology at Egerton University. Prof. Shellemiah Okoth Keya, born 22 Sept 1941 is a Kenyan married with five children, currently Chancellor of Dedan Kimathi University of Science and Technology and professor of Land Resources Management and Agricultural Technologies, University of Nairobi. He attended Wang’apala, Kisii and Kakamega schools and graduated from Makerere University (B.Sc. ), Cornell University (M.Sc and Ph.D.). He is author/co-author of 52 journal articles, 14 books/book chapters, 23 conference proceedings, delivered several invited conference papers and supervised 19 postgraduate students. He has served as external examiners in four universities and examined 12 M.Sc/PhD theses from other universities. He is credited with preparing technical reports on issues pertaining to natural resources management, science/technology, and policy including the environment. He served as principal investigator in many research projects addressing soil health/fertility, one of his accomplishments being the development, production and promotion of legume inoculants in East and Southern Africa, the product jointly commercialized as BIOFIX by the University of Nairobi and MEA Ltd. 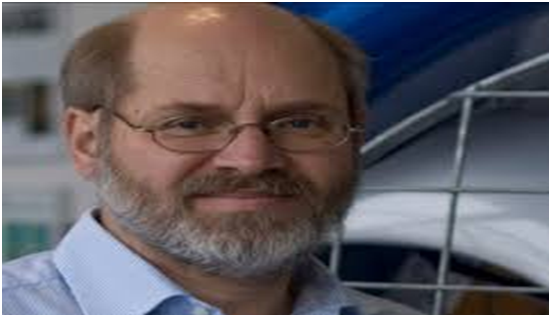 He is a member of over ten scientific societies and academies. In his field of expertise has served as consultant for national governments and international organizations such as FAO, UNEP, UNESCO, World Bank, UNDP, including AGRA and several NGOs. He holds distinguished awards from the African Academy of Sciences/Ciba-Geigy Gold Medal & Soka Gakkai Award of Highest Honor, consisting of Gold Medal; University of Nairobi Staff Merit Award for outstanding contribution towards the University’s Mission and nine other academic prizes. He participated either as Chair or Board Member of 35 organizations, among them national and international organizations and University Senates. He was Board Chair Kenya Forestry Research Institute (KEFRI); Directors, Kenya Agricultural Research Institute (KARI); African Centre for Technology Studies (ACTS); Member of ICIPE Governing Council; Tribunal member of Kenya Industrial Property Organization and UNESCO/UNEP/ICRO Microbiology Panel. His National and international appointments include Director of Microbiological Resource Center (MIRCEN) 1976–1978; Chairman, Department of Soil Science, University of Nairobi, 1976–988; Professor of Soil Science (1981-1998); Dean, Faculty of Agriculture, 1984–1988; Principal, College of Agriculture & Veterinary Sciences April-June 1988; Vice-Chancellor, Moi University, 1988–1994; Executive Secretary, Technical Advisory Committee, Consultative Group on International Agricultural Research/Food and Agriculture Organization of the United Nations, 1996–2000; Executive Secretary, interim Science Council, CGIAR/FAO, 2001–2003; Assistant Director General Research & Development- Africa Rice Center (WARDA) 2004-2007; Advisor to the Director General Africa Rice Center (WARDA) 2008 - Jan 2009. In his professional endeavors he travelled widely in all the five continents. Having served in two international organizations, three public universities of Makerere, Moi and Nairobi his successive and progressive professional pursuits shaped his science, technology, policy, and educational management. Prof Keya’s passion is to make science work for the ordinary farmer in the fight against hunger and poverty. Dr. Monica Mburu (Ph.D.), a Food Science and Technology Researcher, at the Institute of Food Bioresources Technology, is carrying out a research aimed at investigating the effects of new growing environments and agronomical treatments on chia seed quality and scientific validation on the efficacy and safety of the active ingredients in chia seed and leaves that warrants its health benefits, as well as evaluation of its commercial viability in Kenya. Chia (Salvia hispanica L.) has a promising future in Kenya for food security, improved nutrition and health. Chia seed and leaves are protein-rich with good balance of essential amino acids making it suitable for malnourished children and adults living in rural areas who need better access to protein-rich food supply. It can enhance the nutrition status of food crop and fit in rotational farming. Chia seeds contain almost of all the essential nutrients such as protein, vitamins, omega-3 fatty acids, dietary fiber, antioxidants and minerals essential for optimum growth and development in good proportions. This is a superior food especially for infant complementary feeding. The high amount of alpha omega 3 is important in lowering the risk of cardiovascular heart disease. Salvia hispanica (chia) has limited food applications in Kenya, since it is still being exploited. In the developed countries, it is commonly consumed in beverages, cereals, and salad dressing from the seed or eaten raw and as salad from chia sprout. This research on Chia Products development focuses on: Chia yoghurt, Chia oil, Chia dried vegetables, Chia enriched cookies and cakes and Chia seeds drink.